Many times what happens when you add a contact form to your website, many users use abusive language / words to give feedback or they spam with abusive words. So we need a solution to not allow them do that. 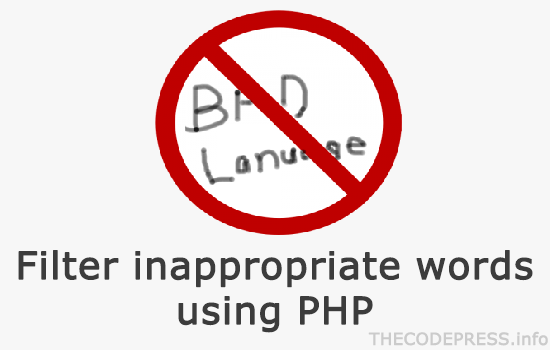 In this post i'll show you a method in which we are going to use a pre-defined PHP function, which will help us to convert abusive words in to any other word or to detect the abusive word and then not to accept the feedback.